Most people don’t really think about all that goes into processing the sights around them, but the eye is actually a very complex organ. For a person to enjoy clear, crisp vision, there are multiple parts and processes that need to be functioning properly. If only one of those is not functioning properly, vision may be compromised. Cataracts are one of the most common problems to interfere with clear eyesight. A cataract is a clouding of the eye’s lens. Cataracts prevent light from being focused properly and result in blurry vision. At Southwest Eye Care and Laser, our optometrists examine the eyes to assess their overall health and look for conditions, such as cataracts, that could be sources of vision impairment. Every patient should schedule a comprehensive eye exam at least once every two years, but those with cataract risk factors should visit our Bakersfield, CA practice even more frequently to ensure that, should a cataract develop, it is caught early on. If a person is at an increased risk of cataracts due to any of these factors, it is important to discuss these concerns with one of our optometrists. Patients who are at a higher risk of developing cataracts are likely to require more frequent eye exams. Additionally, if a patient begins to develop any symptoms of cataracts, including blurry vision, double vision, fading of colors, or light sensitivity, these should be reported to one of our doctors right away so that an exam can be scheduled. Patients who suffer from cataracts can continue to enjoy clear vision as long as they are treated by a doctor. 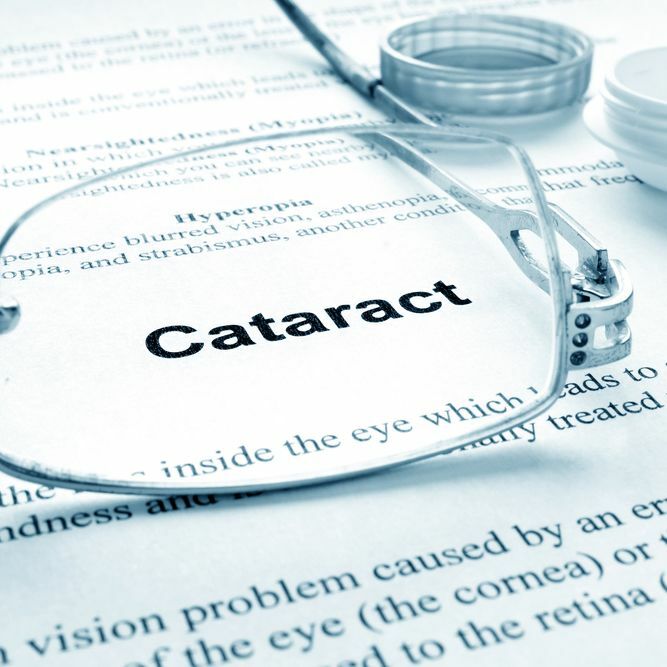 In the early stages, cataracts can often be controlled through increasingly stronger vision prescriptions. However, the only way to truly treat a cataract is through surgery. Our doctors will be happy to discuss the details of cataract surgery with those who are no longer able to achieve clear vision through the use of prescription lenses. At Southwest Eye Care and Laser, our experienced optometrists provide the general eye care that allows patients to monitor and preserve eye health while maintaining clear vision. To learn more about our comprehensive range of eye care services, contact us at your earliest convenience.